Great companies, large and small, rise or fall because of their talent; the more high performers on your team, the more successful your organization will be. Of course, that’s easier said than done. Research shows that only about 25% of all new hires turn out to be high performers. Three huge problems account for the typical poor results in hiring: dishonesty (via deceptive résumés), incomplete information (via shallow interviews), and lack of verifiability (via biased references). 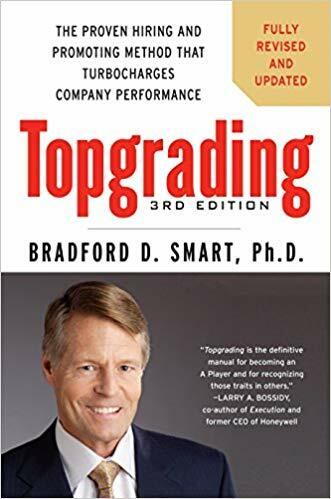 Topgrading shows how to solve all three problems. Instead of hir­ing by your gut reactions to résumés and interviews, you can start using a scientifically honed process that compels candidates to be totally honest.